As the name suggests, OzLotteries is a site that is dedicated to providing its users with access to all the lotteries offered in Australia. Based in Brisbane, the company is providing its services for more than 20 years with a high reputation. They are officially licensed by the Australian Lotteries. Official accreditation like that provides an instant stamp of authority on the site and can assure users they are of the highest quality. The OzLotteries.com site is very user-friendly and you will feel very comfortable when using it. Also, if you love to navigate from your mobile devices, the platform apps are available both for Android and Apple smartphones. They have a service where they send all the results to their lotteries directly to your email inbox so there is no chance that you will forget about it and miss out. You can also repeat your ticket if you want, so if you use the same numbers all the time you can automate it so it will get your ticket automatically. It’s the small things like that that can make the service really enjoyable. One of the amazing developments of Oz Lotteries team is their mobile apps. 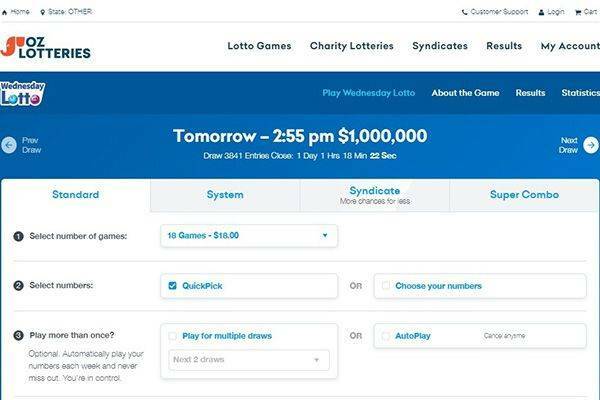 This allows you to buy online tickets for the Australian Lotteries from anywhere just being connected to the internet. The apps are available both at the Google Play Store for Android devices and at the App Apple Store for iPhone smartphones. Finally, but not less important, the desktop version of the site is a really nice design and your user experience is assured. You can participate in the biggest Aussie raffles from the comfort of your home using your desktop computer. The full terms and conditions regarding the fees and the commission is fully laid out on their website and it is very extensive. 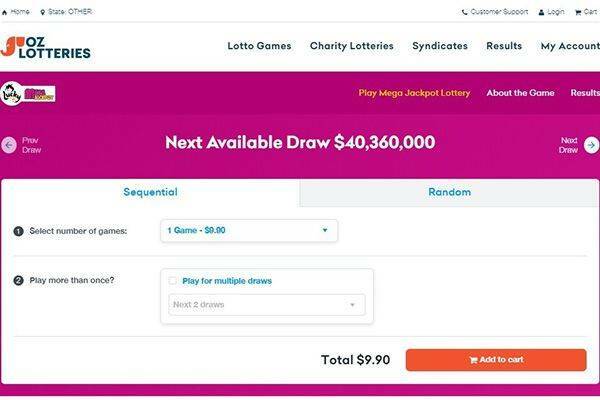 The transparency that is very obvious with Oz Lotteries is great to see and provides a lot of confidence to the quality of the service being provided. 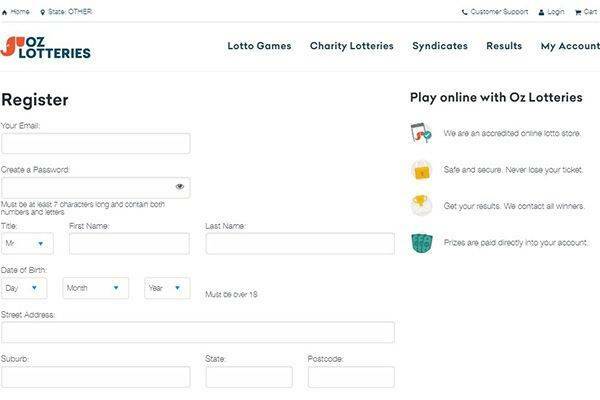 All transactions that go through Oz Lotteries are protected using 128bit SSL encryption with all services being offered being monitored both digitally and physically. This level of security puts Oz Lotteries about the rest of its competitors. As has been mentioned Oz Lotteries offers only lotto games from Australia. Having said that though it does offer a good selection of games despite that. 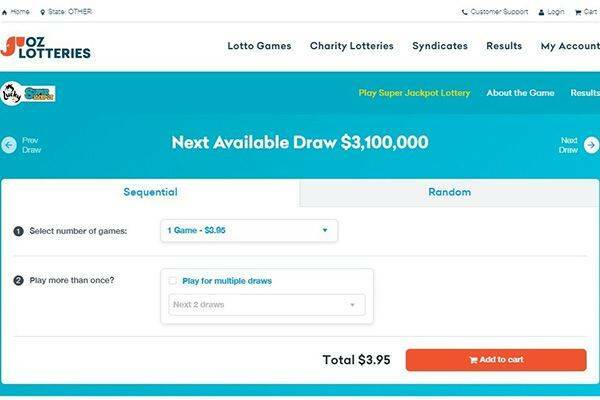 Although being limited to Aussie Lotteries, and leaving aside huge lotteries as US PowerBall, SuperEnalotto or Euro Millions, the jackpots are still massive reaching millionaire sums as we have right now at TattsLotto (a first prize of $21,000,000!). Oz Lotteries accepts PayPal, Visa, MasterCard and direct deposit. These cover some of the major payment options but is certainly an area where Oz Lotteries could improve. You must take into account that PayPal usage is only available for Australian residents. So if you are in any other country the deposit and withdrawal methods are bit limited. The first one is that they only offer Australian Lotteries, but if you are OK with that then it is absolutely a fantastic company. The second one is the limited banking options, being limited even more limited for non-Australian residents, since they cannot use PayPal. Coming with official Australian Lotteries accreditation is a fantastic bonus for all of you lotto lovers who may be concerned about security and legitimacy. Maybe you are a bit hesitant about buying online lottery tickets or making monetary transaction on the net. Is really fair to ask yourself: is Oz Lotteries a scam? or is a legit business? 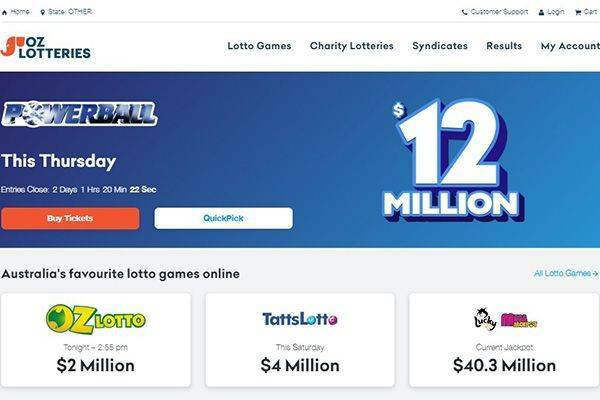 With more than 20 years selling lottery tickets with the Australian Government authorization, using 128 bit SSL encryption and with important payment methods of Ozlotteries.com we can say that you can be 100% safe. Just relax, buy you lottery ticket at Oz Lottery and become a millionaire!